TEIN S. TECH springs are an excellent step towards suspension tuning. Offer a sensible drop for a more stylish appearance and increased road holding capacity. Designed to be used with OEM or OEM replacement shocks. 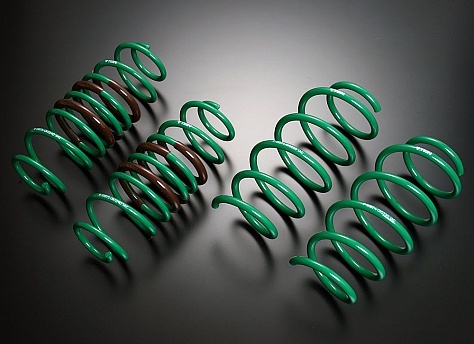 Increased performance is attained by variable spring rate and coil design. Drivers will feel increased control, more stability, and reduced body roll during cornering. Comes with a 1 year limited warranty. Spring length is guaranteed not to sag more than 5mm and to be clear of any manufacture defects.